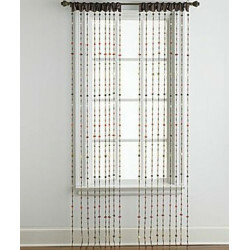 Beaded curtains There are 3 products. 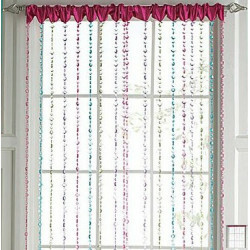 Transform your windows and give them a unique sparkle with the Carly beaded curtain panel. Serena beaded panel dresses up windows without blocking light. You can use alone, or layer under sheers or panelsď»ż. 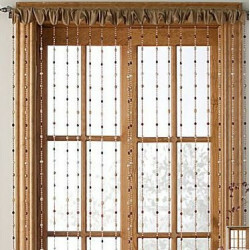 Equip your windows with the distinctive look of the Serena beaded curtain panel.